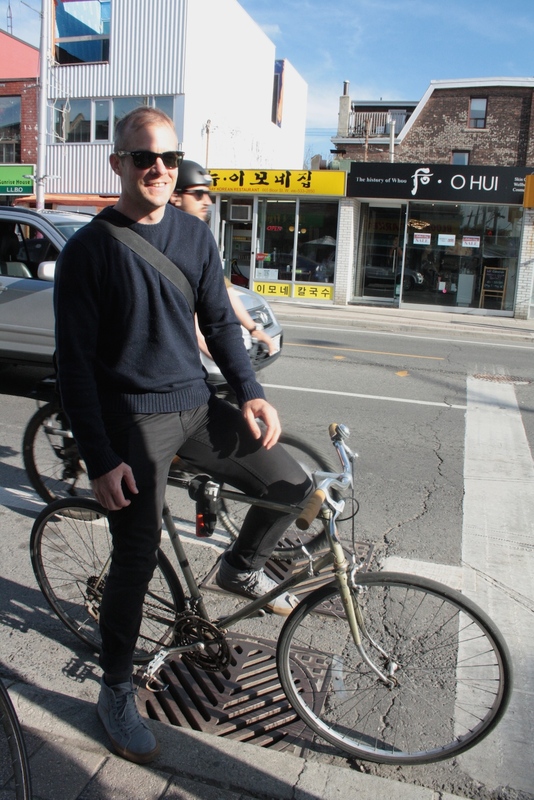 Between the rain last week, we set out on a very sunny evening to ask more cyclists how they're feeling about the Bloor Bike Lanes? Commuters, kids and shoppers alike were singing its praises. The City has installed counters at Clinton and Bloor. You should probably get yourself over there as soon as the deluges are over! Greg: This is the bike that Frida's mom learned how to ride on. Frida: I learned how to ride last year and this is my second time on this bike. But I use the bike lane all the time! I ride to school on it. 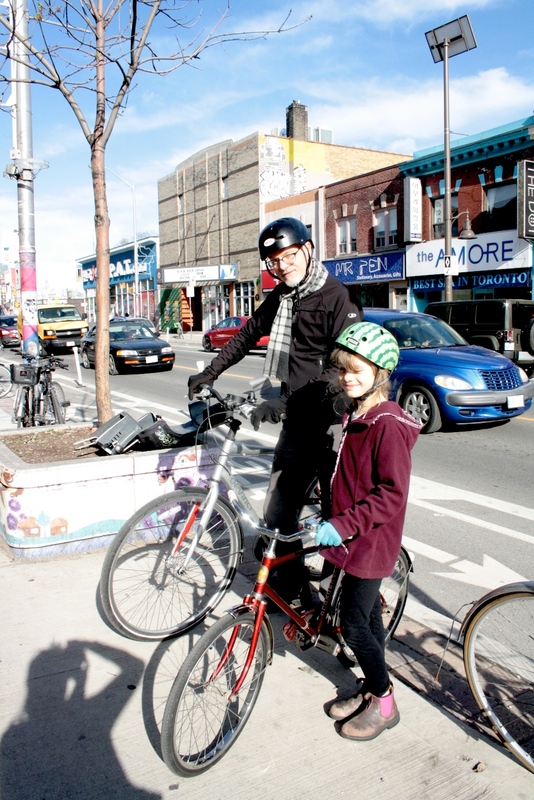 Q: What can the city do to help more kids ride their bikes to school? Frida: ADD MORE BIKE LANES! 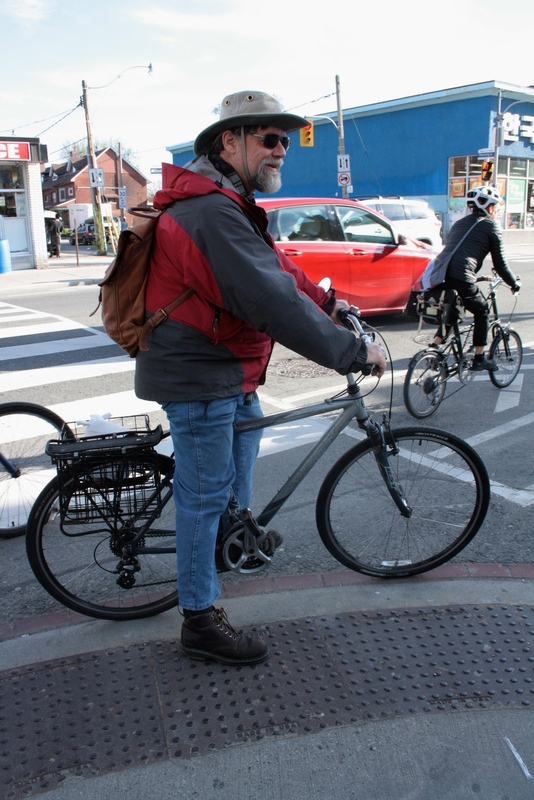 Greg: We used to bike to her school on Barton but it's not very bike friendly. Q: Do you do a lot of your shopping along Bloor? Greg: Yes we do! Even when I'm not wearing a helmet and I go into a shop I like to remind them that I'm here because of the bike lane. I'm just cycling home from work. 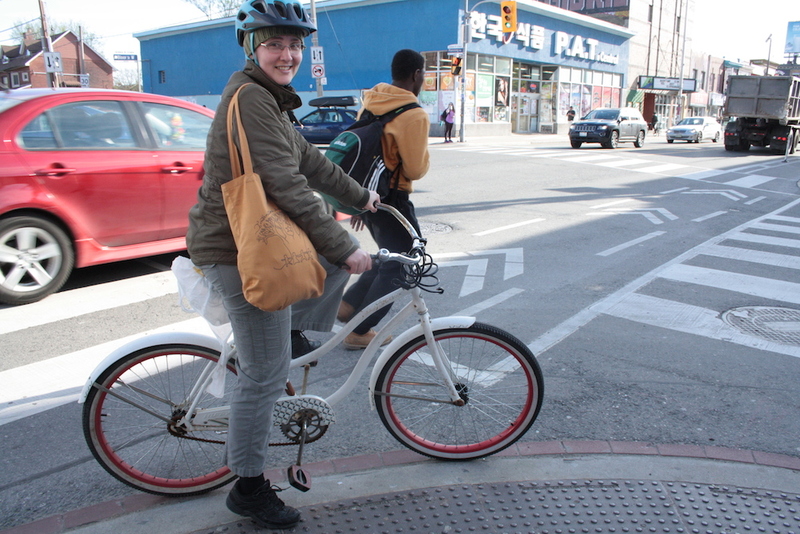 I would never have cycled along Bloor before the bike lane. I go to church on Bloor. Coming soon: Bike Spotting in Koreatown Part 2.